Theodore, bishop of Mopsuestia, (c.350-428) stands out as the pre-eminent exponent of the School of Antioch’s literal, historical and rational emphases in exegesis and of its staunch defence of Christ’s humanity. At his death, he was hailed as one of the outstanding, prolific biblical theologians of his time. However, after his works and person were later condemned at the Second Council of Constantinople in 553, he is known today primarily as the "Father of Nestorianism." 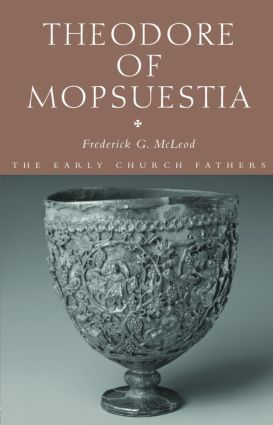 Frederick G. McLeod presents passages from Theodore’s major works ‘On the Incarnation’ and his ‘Cathechetical Homilies;’ his commentaries on Psalm 8, Adam’s creation, John, Philippians 2, Galatians, Ephesians, and Colossians; and his rejection of the allegorists and Apollinaris, as well as providing all the anathemas of Constantinople II against Theodore’s works and person. This book will be invaluable to any scholar who wishes to read firsthand what this influential and controversial figure has actually written.